WASHINGTON, D.C. – Consumers Union, the policy and advocacy arm of Consumer Reports, said the distracted-driving guidelines unveiled this afternoon by the U.S. Department of Transportation (DOT) and the National Highway Traffic Safety Administration (NHTSA) will help address the serious hazards posed by complicated in-car controls. Ellen Bloom, the Senior Director of Federal Policy for Consumers Union, spoke this morning at a panel on distracted driving hosted by DOT. 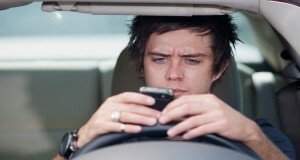 The upcoming June 2013 edition of Consumer Reports has a national survey on distracted driving. The magazine asked consumers about sophisticated control systems in vehicles, such as touch screens and multifunction controllers, which may incorporate audio, climate, communications, and other functions. The survey said 17 percent of respondents owned a car with a multifunction controller, and 9 percent had a touch screen. About half of each of those groups said they found performing common tasks, such as adjusting the radio and cabin temperature, somewhat or very distracting. The new guidelines announced today by DOT and NHTSA include recommendations to limit the time a driver must take his eyes off the road to perform any task to 2 seconds at a time and 12 seconds total. The guidelines encourage automakers to disable any device that allows drivers to enter text for text messaging or internet browsing. The new guidelines also recommend against in-car devices that display web pages, texts and related content, as well as video phones and similar tools. Consumer Reports has a web page devoted to distracted driving here.